There is no better way to start your week than feeding both your body and soul. 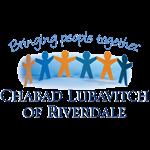 Join us at Chabad of Riverdale each Sunday morning, from May 11-June 22, from 9:45-11:15 am. Choose from one of the three programs listed below, and enjoy a dose of inspiration along with a delicious breakfast of fresh coffee and bagels with toppings! Watch our annual video featuring inspirational Sundays where a newcomer to the community describes his special rapport with his teachers (4:26), and a sixteen-year-old boy dons tefillin for the first time and enjoys a celebratory dance with his father at Chabad. * Practical Prayer - how to follow the prayer book & the order of prayer services. Register here for our Bar Mitzvah Club. For more information, or if you would like to sponsor a Soul Breakfast in honor or memory of a loved one, send an email to Library@ChabadRiverdale.org or call 718-549-1100 Ext. 10.